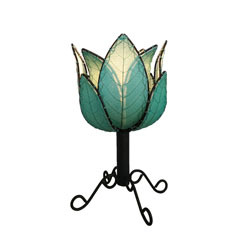 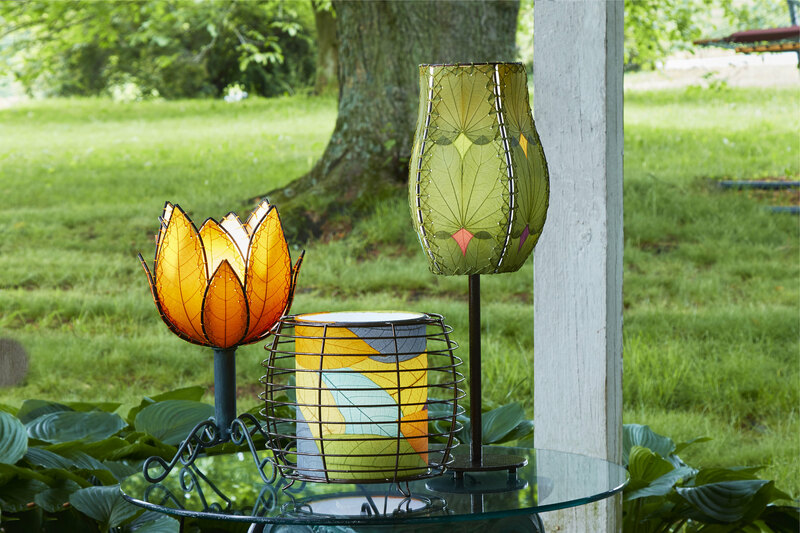 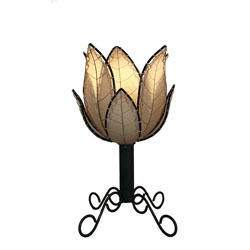 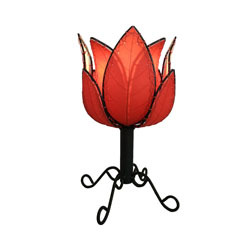 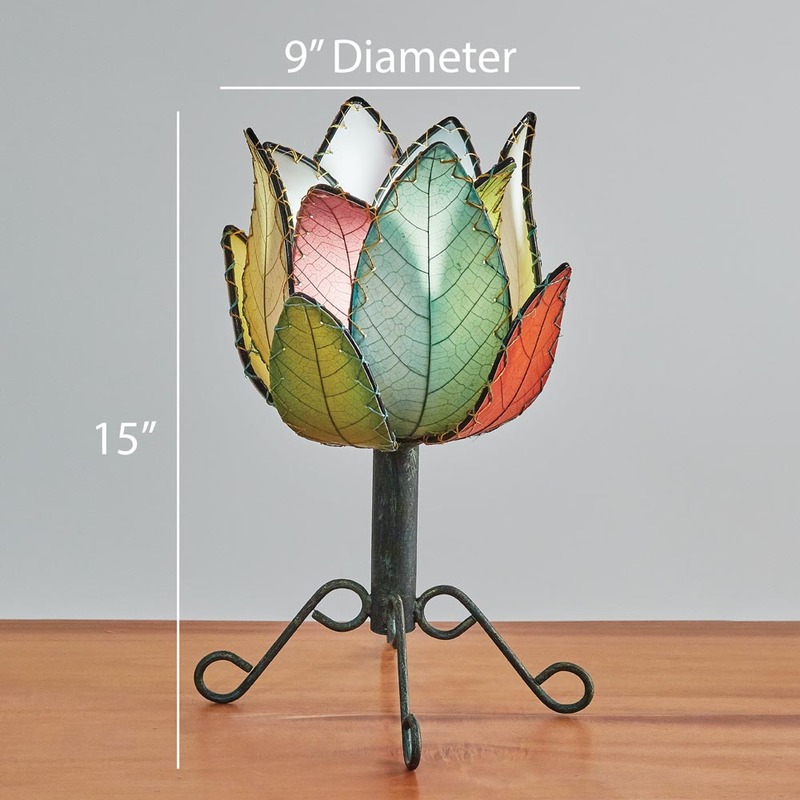 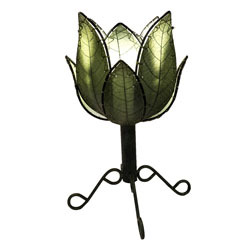 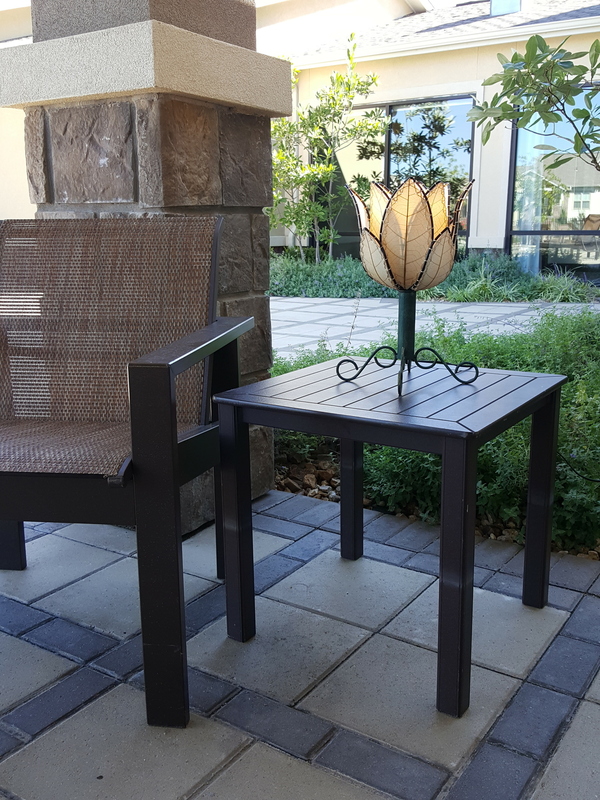 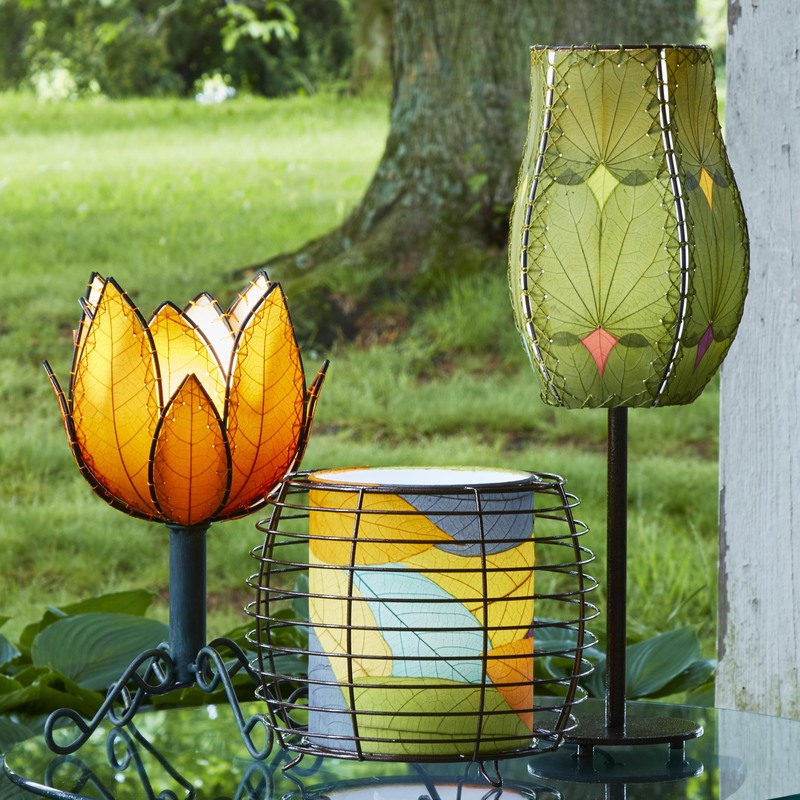 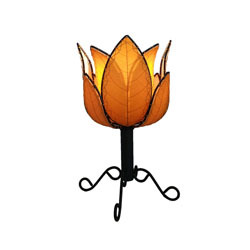 The Lotus Lamp resembles the elegant flower and and uses real leaves in the shade construction. 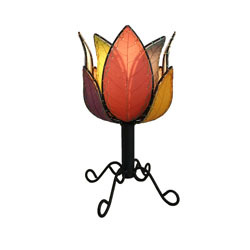 The budding shape produces upward light while illuminating the bold colors of the leaves from the side. Features cocoa leaves laminated onto UL lamp backing and stitched onto a powder coated wrought iron frame. 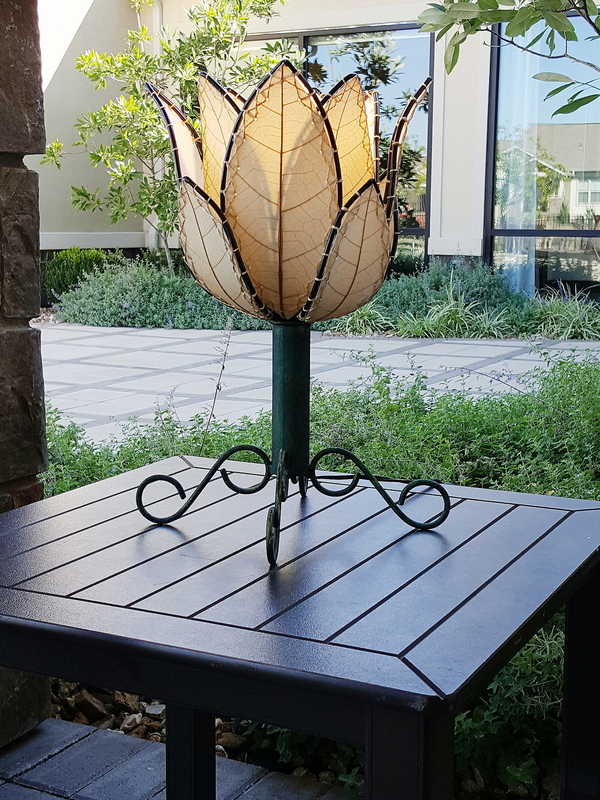 These panels are attached to a central metal stem.